Authentic representation of black culture in cinema has been a work in progress since the birth of motion of pictures. The turn of the 20th century gave birth to black-owned production company’s combating against the one-dimensional stereotypes that littered the screens at the time. Unfortunately, the impending Depression and growth of the studio system folded virtually every black-owned company except one. Up until the late 1960s, the black experience was told through the eyes and words of white producers, which inevitably denied blacks the chance to feel validated in their experiences through life. However, the 1970’s and 80’s broke the mold allowing the number of African-American filmmakers to grow exponentially as the move to showcase their lives and cultures for the world to see followed giving blacks more robust, realistic portrayals. With the 1980s came a resurgence of black pride and Afro-centrism that bled into the 1990s. This trend paved the way for films that looked to the roots of black diasporic communities and its ancestor’s history and legends. Julie Dash followed suit becoming the first black woman to make a film through a major production company, Daughters of the Dust. Dash not only introduced herself to the cinematic world, but boldly staked her claim in it by conveying a new format to tailor her story around, one that focuses on themes of homogeneity, assimilation, and cultural identity. 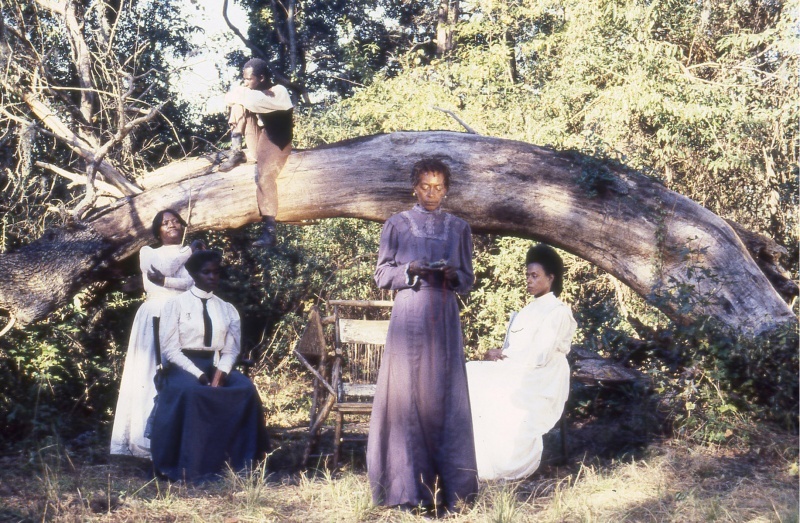 Through the tale of a group of Gullah inhabitants in 1902, we see the Peazant family, offspring of enslaved Africans before them. The family of about three generations lives on Ebos Landing, a part of St. Simons Island, Georgia. An older group of sisters return to the Island after migrating north to New York with intentions of bringing the rest of their family back across the water to the mainland with them. But tensions arise when the newly Americanized sisters view their homeland’s way of living as backwards, all while Nana, the family elder who embodies the traditions and folklore of their African roots, is struggling to keep the family together in order to pass on the knowledge of their ancestral history. 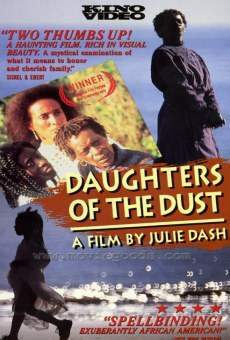 Daughters of the Dust is a marvel to watch unfold thanks to Dash’s keen attention to detail and psychedelic narrative. 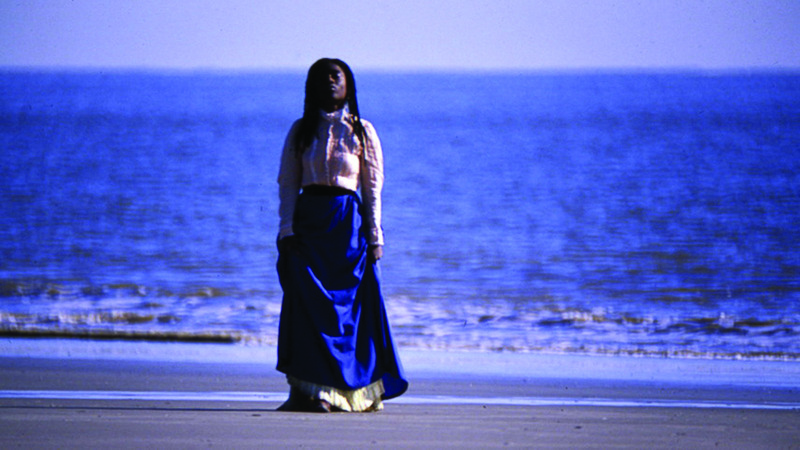 Daughters of the Dust breaks its story into disconnected parts only to reassemble them from different perspectives in order to keep the film moving in a visually syncopated beat. For instance, a scene may consist of voice narration reciting words from an unseen source, while the imagery bounces back and forth between spaces and various characters long enough for viewers to become immersed in the narrative’s pattern right before the scene finally focuses on singular aspect. Dash’s knack for tranquil establishing shots and long shots captures the essence and beauty of the Island the Peazants call home. Such visual finesse makes the Island as integral of a character as the humans we focus on. Daughter of the Dust also incorporates hallucinogenic imagery through post-production edits that animate scenes in inventive, stylish ways. 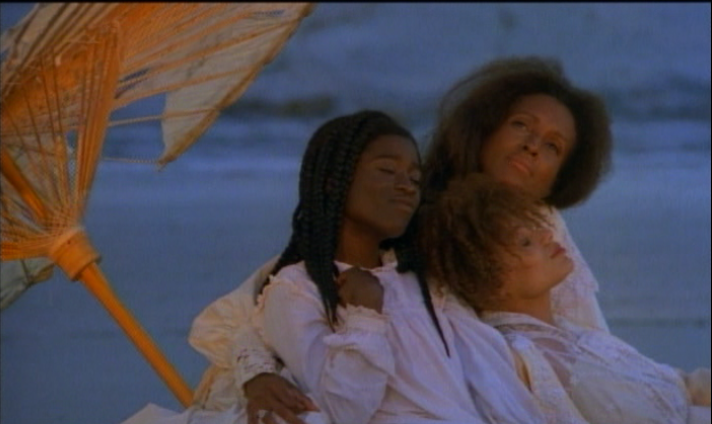 Daughters of the Dust is one of the most intriguingly spiritual films I’ve ever watched and it connected with me on an abysmal level. I’ve held a long-standing desire to reconnect with the ancestors of my family and to learn of the land where they came from. 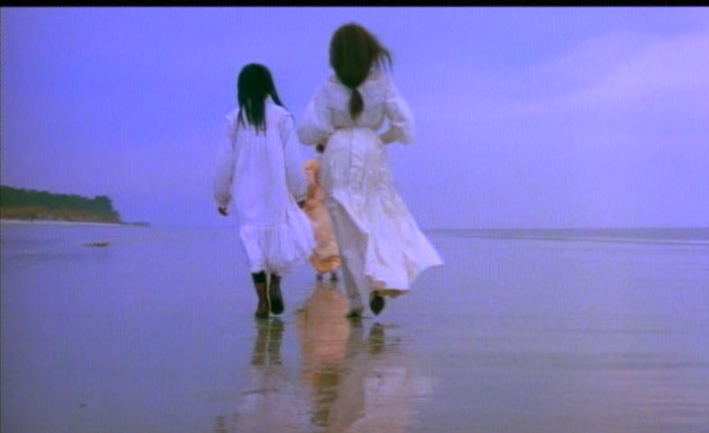 Daughters of the Dust has rekindled that desire within me, one that stems from yearning to belong and feel a part of something greater than the now. I’ve always been inquisitively fascinated by the very nature of film itself and its ability to imprint still images onto a silver halide strip. As a kid, I would spend hours looking through the mountainous stacks of old family photos owned by my mother, who carelessly lost them in storage in recent years.